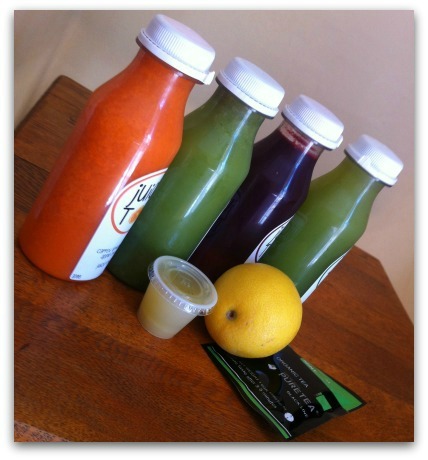 When I told people I was going on a four day juice only detox, their responses ranged from Noooooo! to Noooooooooooooo! Generally though, they were quite interested in the idea of a juice detox, as long as they didn’t have to do it themselves. So here I am, detoxing on juices so you don’t have to. I have been asked by Juicytox, a new Sussex-based company, to trial their services. They deliver freshly made juices to your door, and then all you have to do is drink them, and not eat any food. Throughout the day – 2 litres of hot water with lemon. But strictly NO FOOD. Are we all clear on the NO FOOD aspect? I will update this post each day, mainly to give myself some accountability when it gets tough (which several people have predicted will happen around day 3, when the grumpy phase sets in). But also, when I’ve read people in magazines talking about detoxes, they never sound like real people with real lives, y’know? It’s always some 20something living alone in an urban loft wafting on about how she’s missing cheese, even though she clearly never eats cheese. How will a juice detox work in the real world, when we have family meals and packed lunches to sort out? This is what I’m going to find out. Check back each day to find out how I’m getting on. And please leave a comment of encouragement if you’re feeling kind (and don’t want me to come to your house and steal all your doughnuts). It’s lunchtime on day 1. Except it’s not lunchtime for me. I’ve already had a shot of ginger for breakfast, and the green juice at 10am. The greens weren’t unpleasant. I mean, they weren’t pleasant either, but neither were they terrible. Mr Juicytox told me that most people say the green juice is Not as bad as they were expecting and yes, I know what he means. You’re not allowed to do any exercise on this detox, so I am missing my regular Tuesday lunchtime Body Pump class. I am less hungry than I expected to be, considering that the only solid thing to pass my lips today has been some dental floss. I have a child off school sick, who has requested a toasted bagel. I can’t possibly toast a bagel, that would finish me on day one. I get his dad to do it. Now all I can smell is toasted bagel. Roll on Orange Juice time. I am furious because Himself has put my juice straw in the bin. Possibly the grumpy phase may kick in slightly before day 3. But the good news is that the orange juice is quite nice. The weird thing is, I don’t feel particularly hungry. Turns out that some juices and a load of lemony water is more filling than you might expect. Still, bracing myself for the beetroot. Did I mention I don’t like beetroot? I really don’t. Bracing myself for 7pm when my Beetroot Nemesis is scheduled. Meanwhile, somewhere in this house delicious food is being cooked and eaten. Still, at least I’ve got beetroot juice to look forward to. Might start watching a season of 24. Like me this week, Jack Bauer never stops for a snack. Aaargh! I appear to have picked the only episode of 24 where people sit down to a family meal. Also, beetroot still tastes like soil. I wasn’t wrong about that. Apparently this is the day when the cleansing magic starts to happen. My stomach is starting to gurgle as if to say What the frickety frick is going on here then? I’m getting intermittent small headaches. But apart from that, all good. I could no longer hide from family life so got up to make packed lunches this morning, but I wasn’t tempted to make one for myself. It’s quite weird how I’m not hungry. Not yet, anyway. It turns out that you can never really escape food. If people around you aren’t eating it, they’re sharing photos of it on social media. But as long as I don’t smell it, I don’t miss it. The whiff of toast, melting butter – that gets me. And I’m not missing caffeine, though I am missing the ritual of having a cup of tea or coffee. 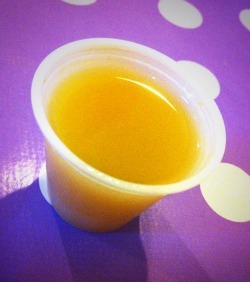 And weirdly, after nearly two days of only juice, I still don’t feel hungry. I do feel tired though, and it’s only 5:30pm. That’s not good, but also not unexpected. I did some work and calls today and it’s taken more than usual out of me. Early night tonight I think. Somebody just got killed by poisoned juice on 24! The universe is mocking me. AKA The Day of Grump. How many people can I make cry today? At least I have a good excuse – it was not me, it was the juice talking. 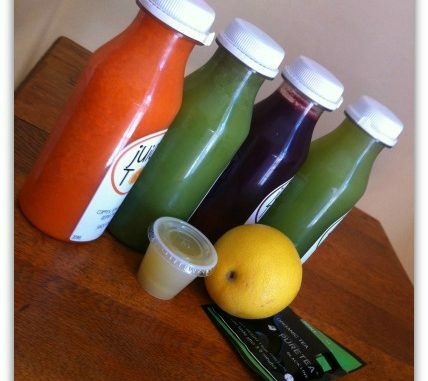 Last night Mr Juicytox delivered the next batch of freshly pressed juices for the next two days. I really like the home delivery aspect of this service – I feel like a film star getting her meals delivered. I don’t have to think about it, buy stuff or do any actual juicing; I just have to drink the stuff in my fridge at the time it says on the bottle. I still have to make packed lunches for the kids, but somehow a cheese bagel and a carton of Ribena does not appeal. Whilst I haven’t been going to the gym, I am mid-way through a 30 day abs challenge, so I’ve been mustering the energy for daily crunches and squats. I have a bunch of career coaching to do today but luckily my attention span is shithot. Better than usual in fact. Could it be the juice? Kids are complaining about a lack of after school snacks. Not my department I reply. Basically I am dealing with this by absenting myself from most of the food parts of family life, of which there are many. How will my children know I still love them if I haven’t made flapjacks for after school? It’s a dilemma…. I am not speaking to the rest of the family because they have had something nice for tea. Roll on 3 more episodes of 24. Jack Bauer would never do this to me. The last day! And even better, it’s Eurovision tomorrow so I can celebrate a return to the world of food with a celebratory European smorgasbord sourced from Lidl. I’m getting though today by pretending it’s not Friday, because we normally go to the pub over the road for dinner on Fridays, then come back home and adults drink wine. That’s how a Friday should be really. So this is some indeterminate Juiceday, thankfully the last in the calendar. The only way I’ve got through this week is by becoming a hermit – staying indoors, and even then retreating still further when there are people with food about. I’ve had a lot of baths and gone to bed early every night. Less than 24 hours to go. Blimey, this is a long day. It’s only Jack Bauer that’s keeping me going. Still no mealbreaks at CTU, they should speak to their union about that. It’s Saturday morning. I survived. Four days of no food, no caffeine, no alcohol. I was going to go to the local cafe for breakfast but I really can’t face a big plate of food. I’ve just had a slice of toast and feel like a snake that’s swallowed a mouse. I know that opinions are mixed on detoxes like this – whilst some people swear by them, plenty think of them as a load of old hooey. Whatever you think, taking some time away from processed food, caffeine and alcohol and focusing on pure juicy nutrients has to be good for you. It’s been great to have the support of some fellow Brightonites who are also doing this trial on Twitter this week. Having a support system really makes a difference. Also thank you to my family who had to hide from me at mealtimes. I realise now that I was quite scared before I started this that I would be ravenous and feeling beastly all week. In fact I didn’t feel hungry once and the beastliness was no worse than usual. 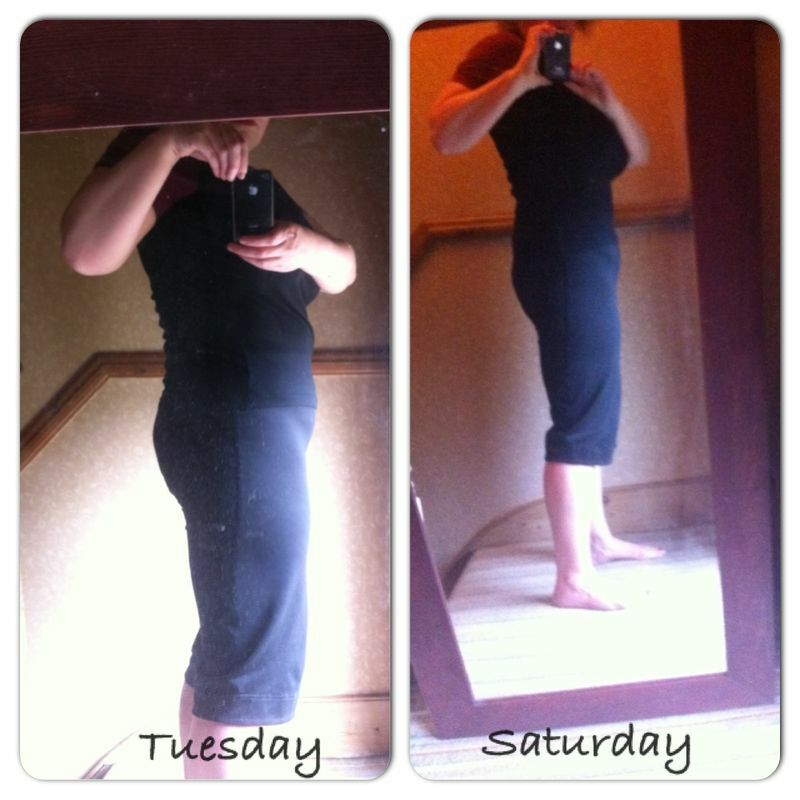 So if you are thinking of doing something like this but think you just couldn’t last without food for that long – give it a try, you might be surprised at what you can do. And the first cup of tea you have when you finish is up there with the cup of tea they give you when you’ve given birth – out of this world. Meanwhile, Jack Bauer is still saving the world, one hour at a time. I have been provided with this detox by Juicytox for the purposes of review. It costs £59.99 to buy, including home delivery of all the juices, lemons and detox tea. 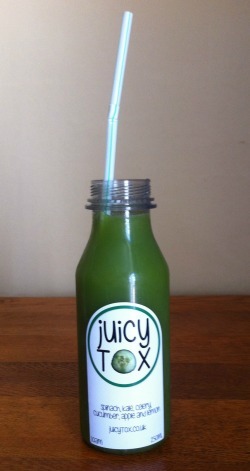 Juicytox currently operates in the Brighton and Sussex area only. You can also find out more from their Facebook and Twitter.